Juventus coach Massimiliano Allegri confirmed that Cristiano Ronaldo will start Wednesday's Champions League game against Young Boys in Switzerland as the Italian champions target a first place finish in Group H.
The Turin giants are already through to the knockout rounds along with Manchester United and are two points ahead of the Premier League team who play Valencia in Spain in the final group game. "Cristiano plays because the first place is very important. If it had not been necessary, he would have rested," Allegri told a pre-match press conference in Switzerland. 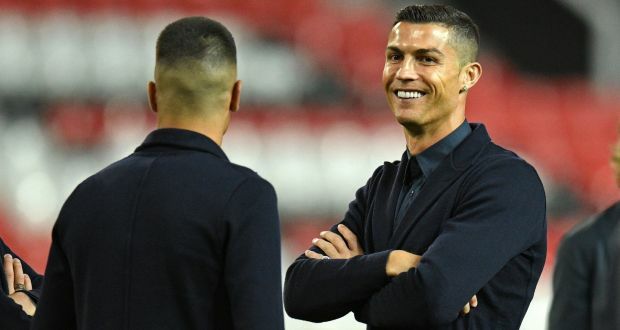 The 33-year-old Portuguese star is the record scorer in the elite European competition with 120 goals and scored 15 for Real Madrid on their way to their third title last season. "Winning the group would allow us to avoid Barcelona, Real Bayern, City, Bayern and maybe Paris Saint-Germain (in the last 16)," said Allegri. "If the game wasn't decisive, Cristiano would rest as would many others." Juventus lost 2-1 at home against Manchester United, who scored two late goals, despite Ronaldo scoring his first European goal for his new club. After Young Boys they face city rivals Torino in Serie A. "Juventus knows the importance of this match otherwise we risk a negative result and we can not afford it because Saturday is the derby. "If you do not play games with the right motivation and respecting the opponent, you risk leaving with broken bones." Allegri expressed concern about the synthetic pitch surface at the Stade de Suisse. "(Daniele) Rugani will play in place of (Giorgio) Chiellini alongside (Leonardo) Bonucci," he said. "Chiellini won't play as the pitch is synthetic and I don't want to run any risks. "(Rodrigo) Bentancur is suspended for the Torino game and he'll start in midfield tomorrow, along with (Miralem) Pjanic. "(Blaise) Matuidi will be rested and I think I'll give Emre Can some playing time. "Douglas Costa and (Federico) Bernardeschi are fit and they'll be a big help, either from the start or off the bench. "Ronaldo is going to play up front but I still have to decide on the others." Goalkeeper Wojciech Szczesny, however, was not worried about the fast surface. "Playing on a synthetic pitch will be more complicated because the game moves faster, but on a big evening in the Champions League I would even play on sand!"